Psychology For All is a 501(c)(3) nonprofit organization that exists to help open the door to emotional well-being by providing psychotherapy services for members of the Charlotte-Mecklenburg community who face various barriers to accessing the mental health care they need. We connect qualified adults with our diverse list of licensed local psychological service providers who have agreed to provide discounted services to help improve the mental health of our community. ​Launched in the summer of 2015 by a team of mental health services providers and community leaders, passionate about improving the mental health of Charlotte’s residents, Psychology for All is dedicated to breaking down the barriers to mental health services. We connect clients with our diverse list of licensed local psychological services providers who have agreed to provide discounted services to help improve mental health in the Charlotte-Mecklenburg area. Clients receive up to 8 sessions from our partners and are eligible for more sessions as needed. Our team of mental health services providers and community leaders believe that improving the mental health of our residents leads to financial and social benefits for the individuals we serve, their families, neighborhoods, and our entire community. Please join us in making Charlotte-Mecklenburg a more emotionally and mentally healthy. 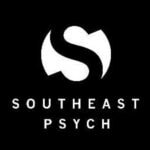 Thank you to our community partners at Southeast Psych who make this work possible. Kimberly Zirkle is a member of Moore & Van Allen’s Financial Services practice where she focuses her practice on finance and private equity transactions. Yu-Jay Harris is the Executive Vice President at MAi Research Client Growth and Relationship Manager. like many of the survivors I grew up with, to access needed care they can’t afford." Sharon Sullivan is a pediatrician who has worked in Charlotte since 1999. She attended Bucknell University for undergraduate education, Hahnemann University for medical school and Carolinas Medical Center for her pediatric residency. Myque Harris is a holistic psychotherapist with a background in clinical psychology, child and adolescent mental health, yoga, mindfulness, and other holistic practices. ​She is the former head counselor at a local Charlotte private school and currently, works at Southeast Psych, a group practice in Charlotte, NC. Gildrette Jones is a Bilingual School Psychologist who recently attained her master’s degree from Winthrop University. She completed her traineeship in Charlotte-Mecklenburg Schools and is currently doing her internship in Gaston County Schools. She serves children K-12 by performing special education eligibility procedures including psychoeducational evaluations and by providing counseling services.